When I was a kid, my mom read Don Quixote to me as a kind of cautionary tale: look at the crazy things you end up doing if you read too much fiction. I did read too much fiction—and I still do—and this probably does explain some of my major personality flaws. But it also turns out that one of the crazy things you can do if you read too much is answer most GRE vocabulary questions, because one great gift of reading is that you learn a lot of interesting words. The GRE favors words that are used broadly, across many disciplines, and that are appropriate for academic writing. This means that many of the words that show up on the GRE are rarely used in our everyday conversations, and I find that a lot of them I’ve seen used primarily in 19th-century fiction. There are a few math terms that are banned from my GRE classroom. “I’m not a math person” is a big one. So is “You either know it, or you don’t.” Both of those sentences are untrue—they don’t describe how the human brain really works—and they’re also dangerous. 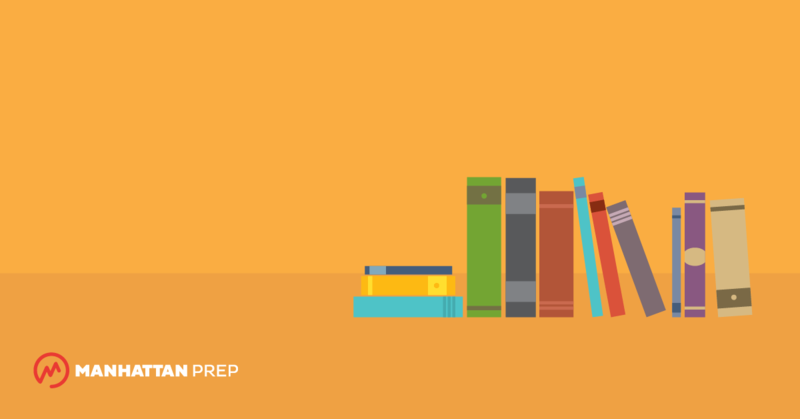 Studying for the GRE can be challenging—both at an intellectual and a personal level. As you study, it’s easy to feel like your whole value as a person is on the line. 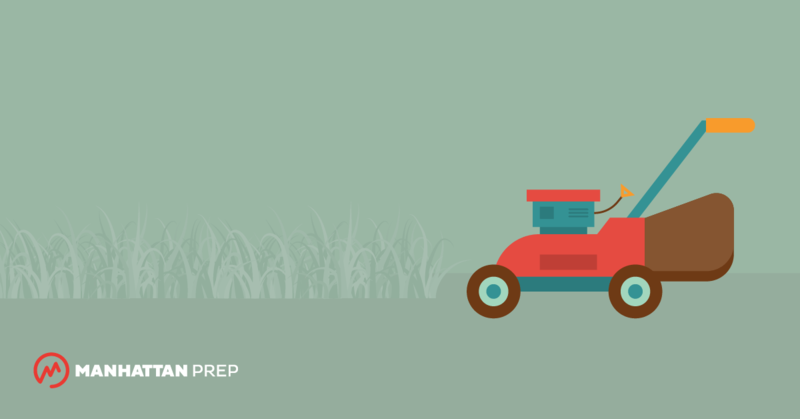 But taking the test too personally can be a bad thing—both for emotional and practical reasons. On an emotional level, taking the results of the test personally can lead you to high levels of stress and anxiety. And it’s just not worth it to beat yourself up about it. 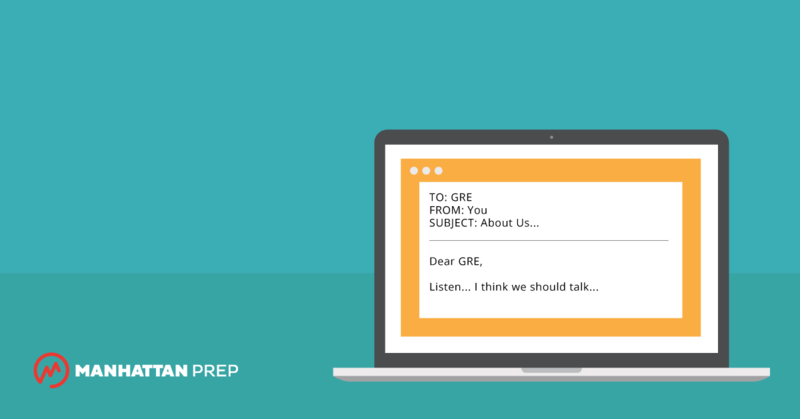 The GRE is only one factor in the whole picture of you as a grad school applicant. Admissions committees know this and keep this in mind as they evaluate candidates. They also look at your background, your interests, your grades, your recommendations, and your personal essay. A strong personal essay—one that reflects your unique personality and tells a convincing story about why you’re interested in graduate school—is often enough to put you at the top of the pile. 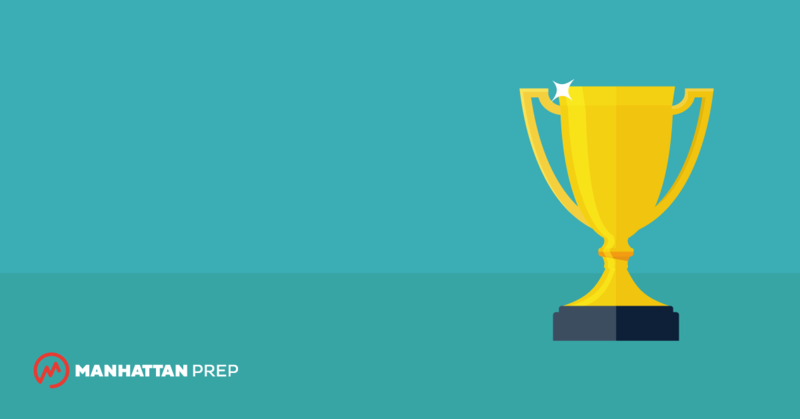 A good essay counts for more than any GRE score. In my last blog post, we practiced using variables to solve Quant word problems—and we solved some problems without using variables, too. The big takeaway: you don’t have to start every word problem with a tidy little list of variables and equations! It’s okay to focus on the numbers in the problem first. 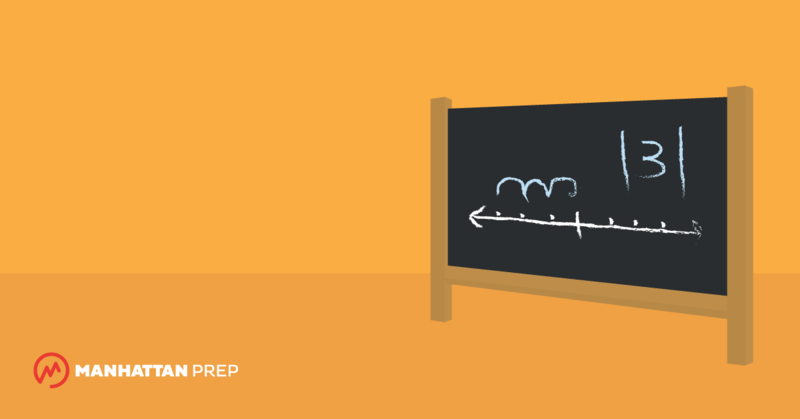 However, variables are sometimes the key ingredient to getting a GRE problem right. 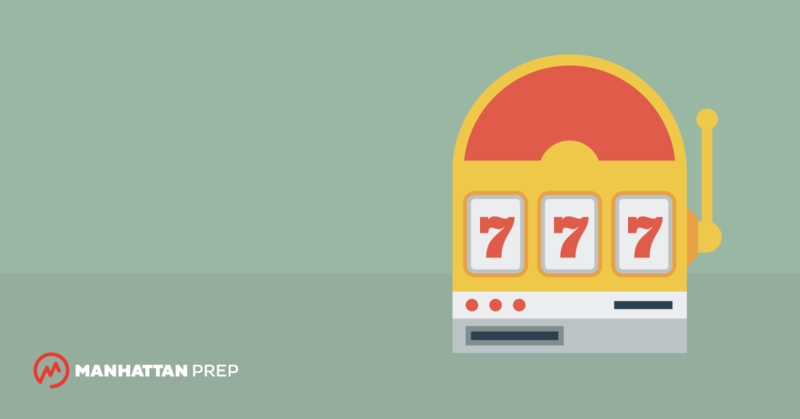 In this article, we’ll try using variables to solve some tougher GRE Quant word problems. Think of an absolute value as a simple machine that looks like this: ||. You put a value into it, and the machine answers a single question for you: how far away from zero was the value that you put in? The basic operation of the machine is simple. Take any number, put it into the machine, and find out how far from zero that number is. The absolute value of 12, |12|, is equal to 12. The absolute value of -10, |-10|, is equal to 10. That’s because -10 is 10 units away from zero. 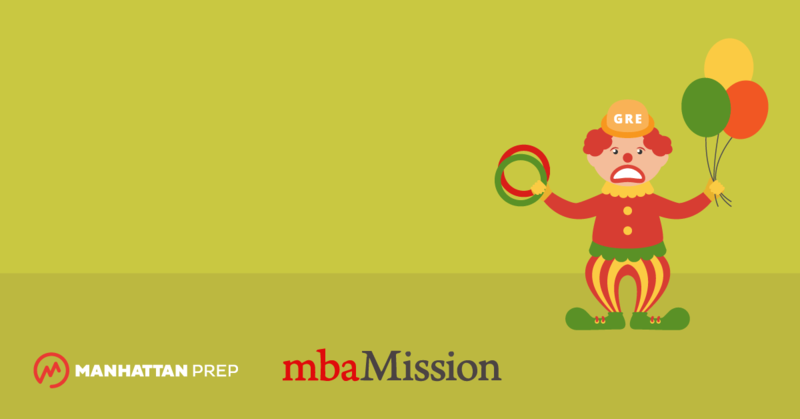 In revising your resume to be submitted with your MBA application, your overall goal is to create a document that showcases your major accomplishments and career progress for the admissions committee in an effective and compelling way. Your resume is an important opportunity to tell your professional story—and to some degree, even your personal one—in a concise form. We strongly caution you not to underestimate the value of this document. The admissions committees actually review applicants’ resumes carefully, so you want yours to be simple and consistent in style while being powerful in substance. 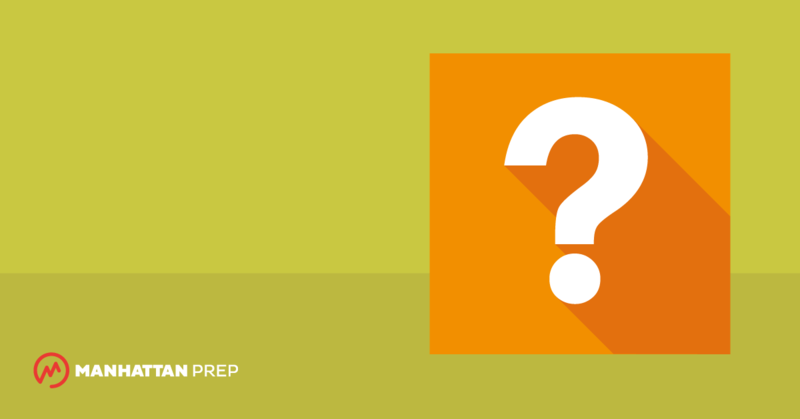 GRE Math for People Who Hate Math: What Is a Variable, Really? Student: When is our final project due? Professor: Three days after the first Wednesday after your rough draft is due. Professor: The rough draft is due 15 days after the date 6 days before May 14. Recently, my colleague Tom and I decided that, since we were teaching in adjacent classrooms, it might be fun to combine our classes and co-teach a lesson. Tom and I have very different strengths, both as test-takers and teachers. I love algebra, and I’ll always seek out an algebraic solution to a problem (even when this might not be the most efficient method—my strength is also a weakness). Tom prefers non-algebraic methods, like drawing diagrams or picking numbers. And our strengths inform what we emphasize in class.